Amber color. Complex aromas of dulce de leche, orange zest, dark chocolate shavings, cedar, and lilac with a round, crisp, fruity medium body and a warming, interesting, long butterscotch, leather patina, minerals, and chocolate genache finish. 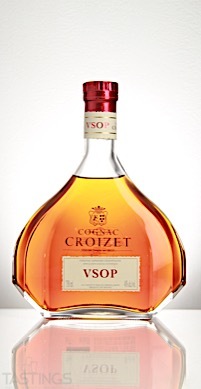 A rich, buttery cognac with velvety texture and nuance to spare; an excellent choice for elegant cocktails. 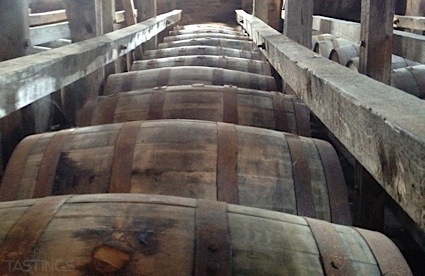 Bottom Line: A rich, buttery cognac with velvety texture and nuance to spare; an excellent choice for elegant cocktails. Croizet V.S.O.P. Cognac rating was calculated by tastings.com to be 91 points out of 100 on 8/20/2018. Please note that MSRP may have changed since the date of our review.